All Star Automotive: A New 5-Star Review! Here at All Star Automotive we pride ourselves on excellent customer service! It’s our number one priority to ensure that every customer that walks through our door or visits http://www.allstarautomotive.com/ receives the best sales and service experience from beginning to end. We always love getting reviews and recommendations from happy customers and whenever we receive a review that especially stands out, we like to highlight it. 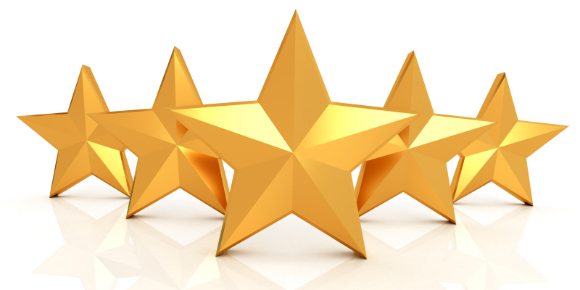 This week, we’d like to share a 5-star review from a very satisfied customer of All Star DCJR Denham Springs! Heather was extremely helpful with my Dodge Charger, and went above and beyond when I dropped it off for service on June 1, 2015. My visit was easy, quick, and painless thanks to her help. I have never had a problem with this department, and I’ve taken three different vehicles here. This review was just one of many! You can read all of our Google reviews to hear what our other customers have to say. If you’re a customer that would like to share your experience online, please visit Google, Yelp or DealerRater. As always, we know you have a choice on where you buy or service your vehicle and we appreciate the opportunity to earn your business. This entry was posted in Uncategorized and tagged 5 Stars, all star automotive, customer satisfaction, dealerrater, google, review, satisfaction, yelp by All Star. Bookmark the permalink.